Papain is also being studied for relief of cancer therapy side effects, especially relieving side effects such as difficulty swallowing and mouth sores after radiation and chemotherapy as well as boosting up the immune system and helping body to fight the cancer. I am big fan of the products made by Rochway, Australian company (for more information visit rochway.com.au) as they use organically grown papaya, producing among other products, product called Papaya35, fermented papaya enzymes. They also produce Blueberry and PawPaw probiotic Punch, which has very strong antioxidant properties that protects against free radicals. Free radicals contribute largely in many diseases such as diabetes, Parkinson’s, Alzheimer’s and cancer. Rochway products are 99% sugar free which makes them suitable for people suffering diabetes as well. 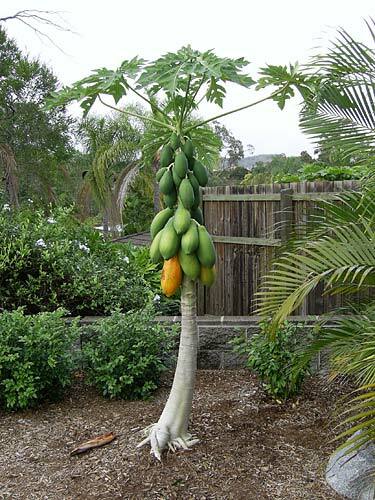 As you can see there is plenty we can benefit from this simple fruit, more and more research is being done and I can’t wait to hear more about it. Just recently I came across an eye opening book by Barry Thomson “Join Our Escape From Death Row-Cancer Jail”, where he in a most genuine and generous ways shares valuable information and his knowledge in effective fight against cancer and ill health. 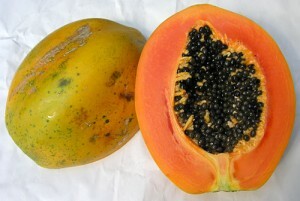 Among other very interesting information I red about simple but wonderful papaya and its healing properties. One chapter in this book awoke in me more desire to learn and research as much as I possibly could as on a professional level I deal with people suffering many different health issues and aliments who look for alternative ways to help them. I would love to share what I know as I believe it can make difference in everyday life of many others. I am also hoping that this will prompt other people to share their knowledge about improving our general well being and health.